Perhaps it’s the opposite and running your small business from home has taken over the whole house, with paperwork on the sofa, products strewn on the floor and marketing materials lying on every ope surface. In any case, it may be time to step things up with a more professional location — like an office or other place of business. But before making that big investment, taking out lease and adding hundreds or even thousands a month to your overhead, here may be a more logical step to take first. 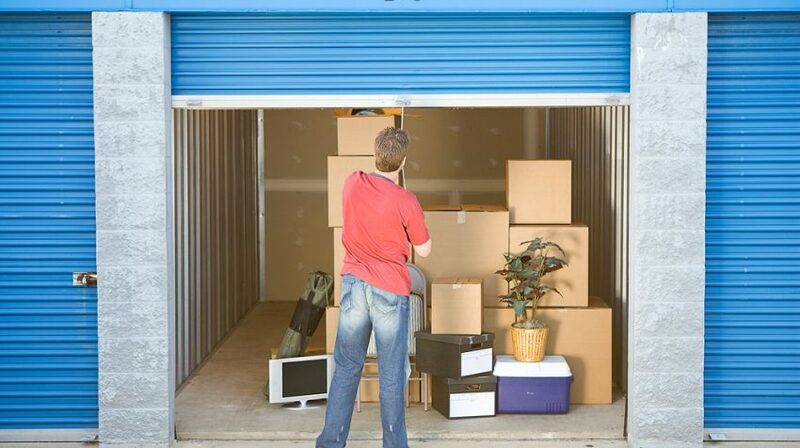 A 200 to 300 square foot storage unit can be much less costly and still give you all the space you need. Here are eight businesses that could be run entirely from a self-storage unit with the right consideration. No matter what you’re selling on eBay, Amazon or Etsy, if you’re doing this from home you’re probably sick of using your living room as a quasi order fulfillment center. With the right amenities, a self-storage unit could be used as a photo studio, a place to bunker down and rattle off a few dozen product listings and, most importantly, a place to store whatever it is you sell. What better place to seek solitude and tranquility and boost on those creative juices than in the bowels of a cavernous self-storage unit. If you’re able to set up a laptop, run some electricity and arrange an internet connection, you’ve got all the makings of a makeshift office space. That’s not to suggest that you work from some windowless, ductless bunker-like headquarters. Actually, not all storage facilities are like this at all. Some more modern storage facilities are actually equipped with the infrastructure to make this a reality and even feature business centers, where renters have access to extra facilities like a multi-purpose room. Those with handy skills and the ability to fix just about anything broken need room to operate and even more room to keep all the tiny parts and tools that they need to get the job done. Storing all these things at home can be awkward or impossible, especially if you don’t live alone and find yourself impinging on everyone else’s space. A storage unit gives you a location to store all your parts and tools and a place to work on your projects too. If the facility allows such activity, opening the door to your store regularly could just be a matter of popping the lock and sliding open the doors to your new second hand shop. Set up some retail shelving inside the storage unit, fill those shelves with your products and set up a register at the entrance. A wet, leaky basement is no place to store your your mid-century modern living room set especially if you intend on selling it. Storing furniture — especially in the hopes of someday showcasing it for sale — requires a larger space like a warehouse floor. If you’re growing slowly, keeping a few select pieces in storage and listing them for sale locally could be the most practical path to operating a sustainable vintage furniture business and maybe even growing it into your own furniture warehouse store someday. A storage unit that’s adequately constructed could be turned into a makeshift video studio. Many units are large enough to allow space for shooting videos and even a desk for a laptop or other computer to do some editing of the final product. Just be sure to have a good sound engineer on standby. The confines of a storage unit are sure to present some challenges for audio. Most storage facilities will take a dim view of you bringing in broken down cars at all hours of the day and night as if you’re running a full service body shop — leaking vehicle fluids all over the storage area. But if your work is dedicated to one aspect of auto mechanics — say, engine rebuilding — then a storage unit could provide plenty of space for a growing company. These places will allow you to inexpensively store your valuable parts and give you the space to work on projects. Just as a storage unit can be the ideal setting — with some adjustments — for a video production and editing area, the space is equally ideal for a photo studio, too … perhaps even more so. Proper backdrops and lighting are key to good photos and with those in place, it’ll be impossible to tell your shots were taken inside a storage locker. Of course, before you pull up stakes from your current location and decide to set up shop inside a storage facility, be sure these activities are permitted, especially on a regular basis. Each facility varies on what it does and doesn’t allow to happen in one of their lockers.